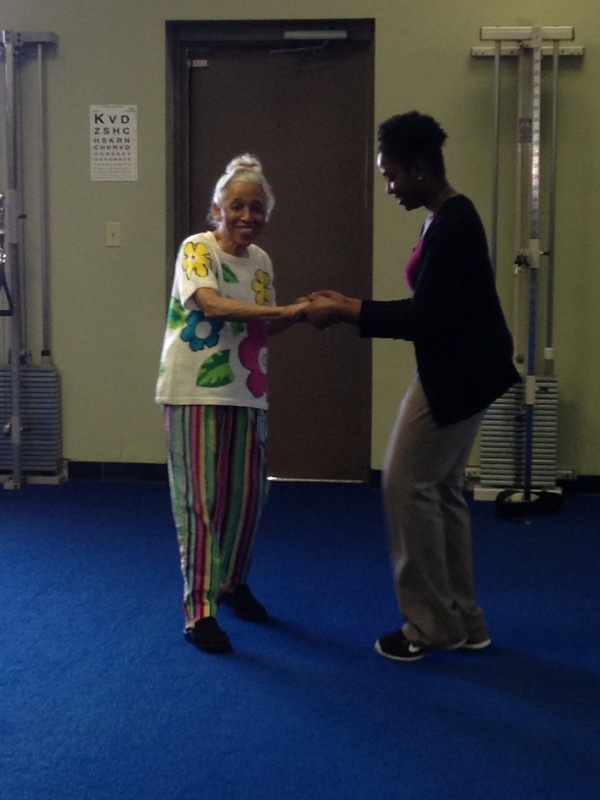 Success Stories - Sports and Spine Physical Therapy, Inc.
Sports and Spine Physical Therapy, Inc.
C. Branche performing balance exercises. 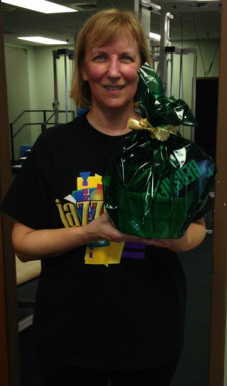 R. Thomas wins Sports and Spine contest. ﻿﻿﻿I was referred to Sports and Spine Physical Therapy by Dr. Stickney. I am so impressed with how professional and cheerful everyone involved in my care treated me. After ten therapy sessions, I feel almost 100%. This truly was a wonderful ﻿﻿﻿﻿﻿﻿﻿experience. Thank you! I came to Sports and Spine Physical Therapy before I had my surgery at the direction of my doctor. The land therapy was difficult but the water therapy felt wonderful. After my surgery, I returned to land therapy and it was the best ting that I ever did. It really boosted my recovery. The water therapy was awesome. The entire staff was very supportive. Jason gave me many hints about nutrition and other things to help me. Joseph and Lori massaged my muscles which helped my mobility. The therapists made sure that I was doing everything correctly. The staff was very friendly and helpful. I would advise anyone to do therapy after surgery and I would recommend Sports and Spine. My doctor sent me here to gain some strength after a staph infection attacked my lower back. After treatment, I can without hesitation say that this is a first class operation starting with my therapist and including the receptionists who always greets you with a pleasant welcoming. All of the therapists are knowledgeable, polite and truly care about improving your condition! I especially want to thank Lori and Joe who spent a lot of time with me. Thank you for your patience in explaining the exercises to me, for your encouragement and your constant good humor. I have regained my strength and am pain free thanks to you all. I never thought I would say this about physical therapy but this was ONE GREAT EXPERIENCE. When I came here I had lower back pain which was bothering me day and night. I woke many times during the night and daytime had trouble standing and walking. During my first visit I found out what the problem was and how to improve the pain. I truly felt better after my first therapy session, plus I had hope that I would improve! As I took directions from the cheerful and knowledgeable therapists, my problem has greatly decreased. Thank you. At the beginning of my treatment, I was in pain from my knee surgery. After treatment, my knee has improved immensely. I hardly have any pain! I also had back pain and could barely stand up straight. I was able to walk normally after four weeks of treatment. Eureka! I love the staff at Sports and Spine. Everyone was great! ﻿﻿﻿﻿Thank you Sports and Spine Physical Therapy. I am able to walk without excruciating pain because of the excellent therapy that I received from you! I am able to climb stairs in my home several times a day without pain. My muscles are getting strong and I am looking forward to returning to an active life. I can not thank my therapists enough! I want to thank you for the support and encouragement that you give me every time I am there. It is because of you and God that I am able to walk today! Thank you form the bottom of my heart. You helped me when I wanted to give up! Now look at me. Three years strong because of Sports and Spine. Thank you for caring! "Before I started taking physical therapy for my left arm and neck, I was in a lot of pain and could not raise my left arm, but to a mid way position. I was afraid to move my neck from side to side due to excruciating pain. After the first two treatments at Sports and Spine Physical Therapy, I could feel the difference. After the fourth treatment, I was not in any pain. The physical therapist(s) there are very gentle, patient, and courteous. I would highly recommend this treatment for anyone who has this type of problem. After sustaining a couple of injuries and dealing with chronic pain in my left knee and lower back for years, my doctor suggested I go to the Sports and Spine Physical Therapy Clinic for a couple of weeks. At first I was skeptical, but began their physical therapy concept that included small weights. To my own surprise, after the second week I began to see improvement. After multiple visits I am experiencing no pain in my knee, and prior I was having a hard time even bending. I am now working on my lower back and am seeing results also. All of the staff: from the receptionist to the Therapists are welcoming and comfortable to work with. When I am asked, I appreciate being able to say that the whole staff has been friendly, caring and professional with a great sense of humor as well. Thank you for your continued support and encouragement. When I came to Sports and Spine Physical Therapy, my back pain was so severe. It hurt just to get up in the morning to get ready for work. I could not do any physical activities. Working out was out of the question. Now I still have a little soreness but I am off my pain meds. I can now exercise to get/stay in shape and I plan to get myself back to the point of playing basketball from time to time. Getting prepared for work is no longer a chore. I am so disappointed that this is my "Graduation Day"! Naturally I am elated that I am finally pain free in my lower back. I will surely miss the therapists magic hands and help from everyone at Sports and Spine. They are caring, warm, respectful and knowledgeable. They put me on the path to pain free living faster then any other PT place.